Let me show you Facts about Blue Crabs in the following post below. It has the scientific name Callinectes sapidus. People often called it Chesapeake blue crab or Atlantic blue crab. 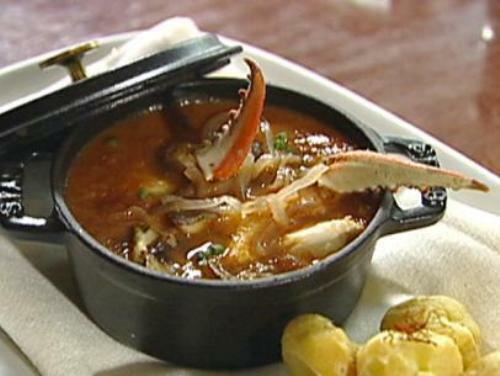 The crab is originated in Gulf of Mexico and western Atlantic Ocean. In United States, blue crab is a significant commodity for it contributes to the local economy. 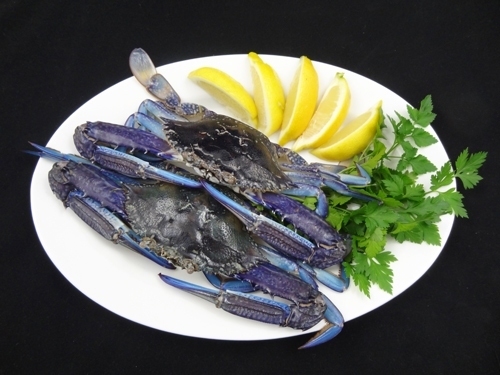 Moreover, people love to eat the blue crab food. The people in New Jersey, Chesapeake Bay and Louisiana consider blue crab as an important commodity. The largest commercial fishery in Maryland is blue crabs. Therefore, blue crab is selected as the state crustacean in Maryland. The width of carapace of blue crab can reach 9.1 inches or 23 cm. The shape of the abdomen enables you to differentiate the male and female blue crabs. The female blue crabs have rounded abdomen. The male blue crabs have the slender and long abdomen. 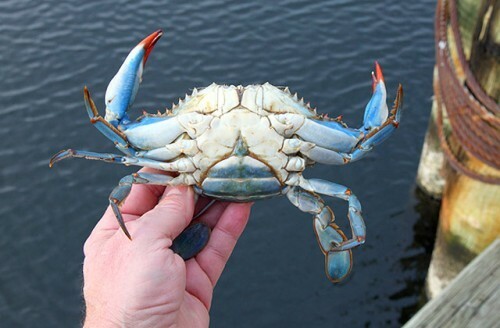 The female blue crabs have orange colored claws with purple tips. 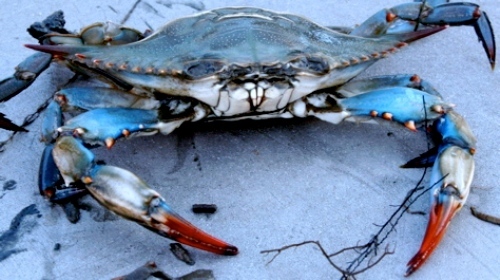 On the other hand, the male blue crabs have the blue claws with red tips. Get facts about crabs here. You can find blue crabs in Cape Cod, Atlantic Ocean, Gulf of Mexico and Argentina. Some people spot the presence of blue crabs in Cape Cod of Gulf of Maine. Blue crabs have been introduced to various international waters such as in Black Sea, Mediterranean Sea, Baltic See, European Water and Japanese water. 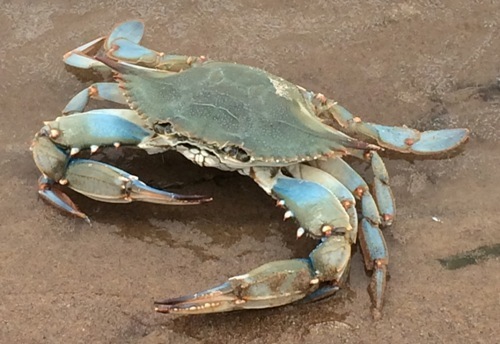 The sharks, striped bass, eels, drum, whiptail stingrays, conose rays, and trout are considered as some of the natural predators of blue crabs. Blue crab is an omnivorous animal. They like to eat plants, small fish, annelids, and thin shelled bivalves. Find facts about clownfish here. The ciliates, microsporidians, bacteria and viruses are some parasites and diseases which can affect blue crabs. Do you like reading facts about blue crabs?